Prominent & Leading Manufacturer from Tiruchirappalli, we offer boiler descaling chemical. GESTREAT product dosages depend upon the boiler water system details, operating conditions and the feed water quality. Our experts will give guidelines for the dosing methods of the product and its related monitoring procedures when they implement the treatment programme. 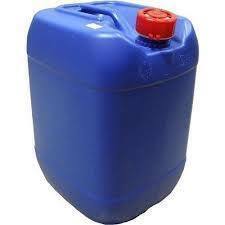 GESTREAT is supplied in 40/60 kgs non-returnable carboys. Generally company will take a week's time for the despatch of the material on receipt of firm order, from the customer.